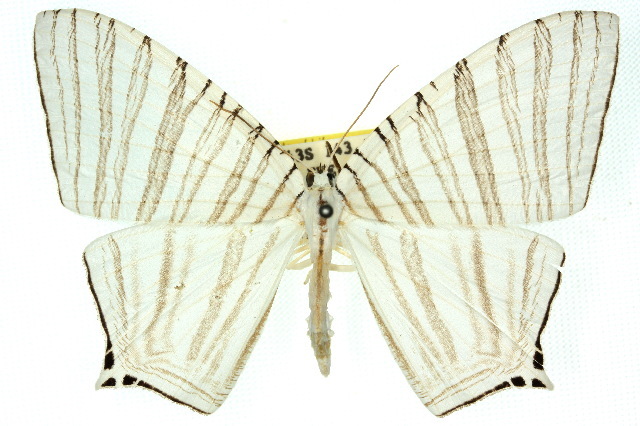 The adult moths of this species are white, with black-edged white stripes across each wing. There is a black line along the margin of each wing. The margin of each hindwing is angled, with a black mark in the angle. The wingspan can be up to 7 cms. Part 35, Supplement 5 (1866), p. 1640.